Change doesn’t come from sitting on the sidelines, waiting. That’s certainly true for how the library community in Massachusetts has approached statewide eBook sharing. Six years ago the Massachusetts Board of Library Commissioners (MBLC) and the Massachusetts Library System (MLS) convened the Resource Sharing Unbound workshop. Faced with the inability to share eBooks in the same way we share print books, vendors who wouldn’t sell eBooks to libraries, and eBook pricing that was sometimes five times more than what consumers paid for the same eBook, librarians at this workshop agreed that statewide eBook sharing was a priority. A call to action went out to Massachusetts libraries that resulted in a modest eBook pilot project of 50 libraries in 2013. Since then, the program known as the Commonwealth eBook Collections (CEC), has grown dramatically to 568 libraries of all types with access to over 100,000 items in Axis 360, BiblioBoard Library and Ebook Central. The program provides a platform for marketplace advocacy and engages Massachusetts libraries in national discussions and initiatives to improve access to eBooks. In the spring of 2017, the MLS, MBLC and the Automated Library Networks began exploring statewide eBook sharing options. Shortly thereafter, OverDrive proposed a pilot to connect the networks together into a single collection for library users. This pilot takes a major leap toward a true statewide eBook solution. In the fall, Minuteman, OCLN and SAILS joined the pilot and have since been working with OverDrive to develop this exciting solution for Massachusetts libraries. 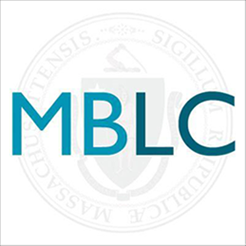 MLS, MBLC and the Automated Library Networks plan to expand this pilot statewide. MLS and MBLC are pleased to announce that beginning July 1, 2018 OverDrive will be the new vendor for Commonwealth eBook Collections. Very soon, you’ll hear from MLS with more information about what this means for your library as well as information about the enrollment and the transition. There’s much more to do, but we are excited about this transition. A true statewide eBook solution is close at hand! Happy Read an eBook Day! Did you know today, September 16th, is Read an eBook Day? I didn’t either, but I just so happened to download the electronic version of Stacy Schiff’s The Witches: Salem, 1692 this morning, and OverDrive let me know what’s up. I live in Somerville and The Witches is our city’s community reads title for 2016. Last night, I checked out the 400+ page hardcover tome and immediately dreaded lugging it around town. Luckily, Minuteman Library Network’s OverDrive collection came to the rescue – I now have the ultra-portable ebook version on my phone, too. Woohoo! There’s even a hashtag, #eBookLove, for y’all to wax poetic and join in the celebration. What are you e-reading right now? Let us know! Posted on September 16, 2016 September 20, 2016 Author Celeste BrunoCategories Promotion, Resource SharingTags community reads, ebooklove, ebooks, libraries, overdrive, read an ebook day, somerville, stacy schiff, the witchesLeave a comment on Happy Read an eBook Day!